His Eminence Most Rev.Dr.madhu Krishan, The Founder & Chairman Of Academy Of Universal Global Peace (AUGP) Conferred Doctorate Degree To H.R.H. Grand Prince Of All Russia Valeriy Viktorovich Kubarev Grand Kubensky Rurikovich & also Commissioned him as International Governor Of AUGP in Russia , on the recommendation of The Founder Of Canadian Nobility Association H.E. Sir Matthias Friedrich Bork, Dr.hc mult. ; Count of Abenheym; & of the World Governing Council of AUGP. H.R.H. Grand Prince Of All Russia Valeriy Viktorovich Kubarev Grand Kubensky Rurikovich; A confirmed descendant of the Russian Princes Kubensky, Rurikovich. Born on December 02, 1962 in Moscow. In 1985 he graduated from the Moscow Aviation Institute (University) His specialty is the engineer – mechanic of rockets and space vehicles. He is holding 2 patents for inventions. He has written and published more than 300 scientific articles in the field of history, theology, DNA-Genealogy, philosophy and policy. He is the author of 7 published books on policy, theology and history. Since 2007 he is a full member of the Union of writers of Russia. 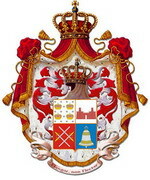 Since 2007 Grand Prince of All Russia and Grand-Duke of the August House of Rurikovich in Russia. His titles were confirmed during the International Princely Cathedral which took place in Moscow on the 29.04.2011. In February 2012 he received the medal of cavalier “For true service to the domestic literature” by the Union of writers of Russia. 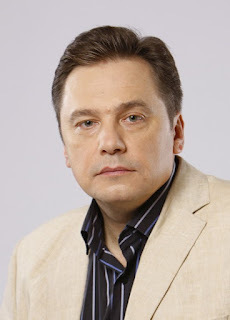 He is a participant of 10 international scientific conferences on questions of history and philosophy, including the International conferences on problems of the Civilization, spent by the Russian New University in Moscow, the head Academician Sergey Kapitsa. He is also one of heads of the international project of the New Paradigm of the Civilization.